Here’s a question for you and it’s not rhetorical: are young children supposed to listen to their parents? The first time, maybe the second, without a roundtable discussion, tears and/or backtalk at every turn? In theory, it sounds obvious. Of course they are! In practice, however, the idea borders on the ridiculous. I spend untold hours a week negotiating with my kids or waiting out their behavior in some shape or form. The paradigm of the ‘disciplined’ child – the child who, miracle of miracles, actually does what you say – has become a relic from the past, that bygone age of Father Knows Best. We are not a generation of ‘Do It Because I Said So’ parents. We are instead raising a legion of tiny lawyers, with more bargaining power, wiggle room and opportunity for choice than ever before. And there is progress in this, no doubt. But there is also fallout. We are the parents derided for indulging, coddling, kowtowing and worse. We are cast by many in the family drama as lowly subjects, slaves to the whims of our ‘benevolent’ (hopefully) dictators, what Pamela Druckerman’s French friends call enfants rois (child-kings). English supernanny Emma Jenner diagnoses us with a chronic case of ‘fear of tantrum’ and the inability to put our needs ahead of our children’s. Frank Bruni would describe our increasingly infamous take on parenting as the ‘eight-last-chances’ approach. According to experts, there are actually three main approaches to parenting: authoritarian, which emphasizes obedience; permissive, which is lacking in guidelines so as not to upset the child; and authoritative, which blends a caring tone with structure and consistent limit-setting. Most of us, I am guessing, would raise our hands enthusiastically for category number three, either as the style of parenting we embody or the one we aspire to. And yet, authoritativeness itself is a wide berth. Because of my family situation, I have had the strangely bifurcated experience of being, in one life, two different types of mother. Both of whom I would place somewhere on the authoritative continuum, the first version leaning closer to the anything-goes mom, the second one tottering on the edge of an attempted authoritarianism. The shift is partly due to circumstance. With four kids, the last two of whom are twins, there is a Gestalt vibe to my parenting these days, which makes it virtually impossible to cater overly to any one child’s ‘needs’ or ‘perspective’. In our house, true permissiveness would devolve rapidly into unlivable chaos, which means that my desire for order sometimes looms larger than my belief in the importance of a ‘caring tone’. But I have also changed tacks a little because I learned a few things in the intervening years between children, having watched my older two emerge from the frat party of toddlerhood with behavioral hangovers of entitlement. As a result, the mother I am to my toddlers today falls perilously close to the one Tovah P. Klein warns against in her engagingly written and thoughtfully-constructed book How Toddlers Thrive, the thesis of which is that once you truly understand your toddler’s point of view, you will see that ‘controlling’ him is counterproductive to his well-being. I enjoyed this book, I recommend it and I think it would have spoken to me deeply had I read it in my first incarnation of motherhood. 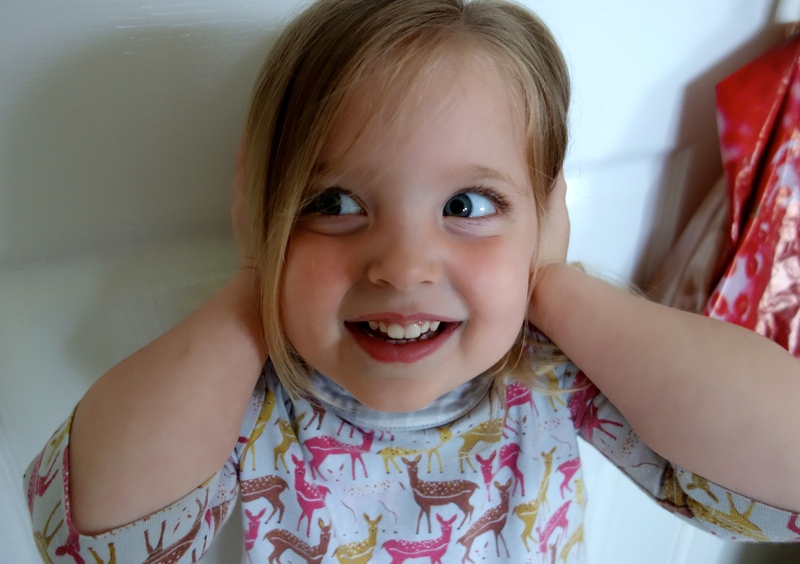 The rub of it for me right now, however, is this: while I feel confident that I understand my toddlers’ motives and sufficiently appreciate the wonders of their under-developed prefrontal cortexes, I still want to control certain facets of their behavior. Does that just make me the worst of the worst? Klein believes in boundaries: authority is good. But she largely equates ‘controlling’ a toddler’s behavior with ‘shaming’ him and shaming, as you can imagine, is bad. ‘By asking them to behave in a specific way or be different from how they are just now,’ she writes, ‘we make them feel ashamed.’ This is to be avoided. My problem is that I don’t always see how to enforce the boundaries I want to enforce without being ‘controlling’. What, in other words, does exerting authority look like without the handmaiden of control? If setting limits is essentially making rules (e.g., we only draw on paper, we ask before taking food), and the rules are being repeatedly balked at, what are we supposed to do in the name of defending our boundaries if not ask our toddlers to behave in a certain way or, failing that, to make them? When limits aren’t properly and consistently imposed, authoritative parenting begins to acquire the I-don’t-want-to-upset-my-kid sheen of permissive parenting. It is a glaring feature of How Toddlers Thrive that there is no real mention of ‘misbehavior’ in its pages, nor is there any discussion of discipline (neither of these words, for instance, appears in the index). The idea being, I presume, that all of a toddler’s actions can be explained – and explained away – as part of the growing process. Toddlers aren’t naughty per se, they are simply learning. But at what age does questionable behaviour become misbehavior that needs to be sanctioned (the book defines its range as ages two to five)? When does barking orders at everyone around you become, in fact, ‘rude’ and not simply ‘an expression of self’? When does hitting your brother become ‘aggressive’ and not simply an ‘inability to deal with anger’? When does not listening to your parents become ‘defiance’ and not simply an ‘attempt at independence’. After the hundredth time you’ve asked, the five hundredth, the thousandth? When they turn four years old? When they turn five? Klein talks loosely about the time for this coming ‘later’, but I have been amazed at how quickly condoned habits become ingrained (especially with some children) and my fear is that I missed the window somehow in my first rodeo. I like the idea of getting on my knees, metaphorically speaking, and seeing the world from my toddlers’ perspective. Giving them a break when they feel vulnerable because the routine has splintered or because Mommy is going away, yielding to their eccentricities as much as is pragmatically possible. But day in and day out we have rules in our house that need to be followed, for the benefit of the family as a whole, and I don’t think three years old is too early to be expected to follow them. Or to suffer the consequences if not. My eight year old says: children should listen to their parents only if they [the children] think what the parent is proposing is a ‘good idea’. My six year old says: children should listen to their parents if they don’t want to get shouted at. My three year old says: Not really. But maybe I’ll listen to you next time. My other three year old made no comment. He wasn’t listening to me when I said I wanted to ask him a question. This essay speaks to a huge part I lopped off as my post approached 2,000 words. I alluded to it a little bit with the confusion on how I am supposed to handle my “easy” child. I might write another post… My point was basically that sometimes, you really just have to throw them screaming and flailing into the stroller. Real life doesn’t operate on toddler time. I would be curious to hear her response to your criticism. Yes, I’d like to hear her response too! And addendum is perfect 🙂 I think I was raised more in line with your type of parenting. We had three kids in my family and a farm with tons of animals. It was never going to happen. Personally, I think if you have four kids — including twins — as long as everyone is happy and alive at the end of the day, you must be doing something right! Lauren — you have stated SO PERFECTLY and eloquently my frustrations with this book. It was very heavy on the WHY they behave that way (which is so helpful to know), had good suggestions on proactive ways to avoid that behavior, but not so much on what to do if they are repeatedly not following the rules. Because, there are always rules to follow. I also loved the addendum! I love hearing all these different perspectives. Even though it’s sometimes overwhelming. Some nights my “warnings” have no teeth and I end up warning her “for the last time” about 100 more times. I haven’t read the book — yet — but yes, yes, yes to everything you wrote! I often remind myself of the saying (and I don’t remember the exact wording) that when you raise a child you should be thinking about his/her adulthood. There are rules in society. There are bosses, spouses, friends, neighbors, store clerks, crazy drivers on the highway. Life is not always what you want it to be and I feel like when I set boundaries, when I am more authoritative I am preparing my son for life. I don’t want to just get through dinner — well, that too — but I want him to be able to get through an important business dinner when he is a grown up without horrifying everyone with his table manners. Does this make sense? Charlotte rocks! And Nat and Alex sound like they agree with Oliver. Maybe that’s the considered ‘tween’ response. Love that you asked them, thank you, made my day! I just can’t get over this line: “emerge from the frat party of toddlerhood with behavioral hangovers of entitlement.” I am still smiling from it. 🙂 Yes, I struggled with this topic, too. I had a list of “What should I do when…” questions at the beginning of my post, and although I haven’t quite made it to the end of the book, I suspect they won’t be answered anywhere in it. Rudeness, destructiveness, etc- shouldn’t those be the cause of some sort of (gasp) shame? In the most practical sense, I mean. Shouldn’t our children learn that there are undesirable consequences for behavior that, while understandable, is still inappropriate? I really enjoyed this, Lauren. Yes, the margins of my book are littered with questions! There does seem to be a class of behavior she doesn’t quite address: not eccentric, not unsafe, not a result of a break in the routine or an emotional hiccup. Behavior that is more like misbehavior. To me, that does have to be nipped in the bud or, at any rate, dealt with in a different manner than when my daughter wants to wear the same dress every day of the week! This was really good, Lauren. I enjoyed all the other reviews as well, but since I know you, I’ll comment here! I’m sure I’m not alone in saying I really dislike the word ‘obedience’–a behavior valued so highly in previous generations. It puts the emphasis on control and power in a way that’s distasteful to me. On another note, we talked about this a little, but I do think it’s kind of interesting how permissiveness is conflated with empathy. I think I’ve become more empathetic and less permissive with time. Kinder to self and others / less willing to put up with things is not really the contradiction in terms it seems. Debra, you have succinctly written what I will probably take too long too long to say. I have often thought that parents of larger families have much to offer through experience of managing and balancing the needs of groups and the individuals therein. I enjoyed the author of this reviews observation that controlling is often conflated with shaming, as well as the accurate explanation of the authoritative approach being a spectrum in and of itself. There is definitely a breadth of approaches in setting limits in the authoritative spectrum. But it seems to me also that often the parent who strives for respectful limit setting is conflated with the permissive parent and there persists an erroneous assumption that all parents who seek to understand toddlers/children’s developmental stages try to avoid tantrums and tend to always appease the child or even avoid setting limits. This is clearly not the case as many parents surely see in recognise in their own parenting. The missing link here I think is in that response to the child’s tantrum once a limit is set. Perhaps that’s where this book is a little light. I try to operate on the premise that children’s tears and emotional outbursts are NEVER to be feared, by either child or parent. Protecting our kids from feeling their feelings, especially when they are in response to our limit setting, is a problematic approach. There is a heap of research out there on the neurobiology of tears and release of emotions as healthy ESPECIALLY when supported by an empathetic listener. Again, in a large family I am sure the balancing act means often kids have to wait turn to get the empathy that is so healing. And this most likely builds resilience. But the empathy is the first step in helping the child moving forward I think? I also believe there is a place for working towards children’s emotional self reliance, containment and emotional independence HOWEVER we are primarily wired as social being who thrive when in communication and given empathetic support when we feel difficult emotions. I definitely want my kids to reach out for help fundamentally and have self reliance and inner resourcefulness develop slowly and naturally as a result of being supported. This is a process that develops well into healthy normal adulthood. It does not come easily to the developing brains of children. However, to the question of whether children can or should be expected to listen, have self reliance, be gentle with others or, in the general sense, behave well etc, I respond this way. I expect my children to behave in developmentally expected ways, adjusted slightly to each child’s unique timeline. HOWEVER, in what I actually say to them and the limits I set, I model an ABSOLUTE belief that their better self is who they are (trying to pitch what that behaviour/mindset looks like just a notch ahead of where I think they are on the continuum. If they have made a mistake like telling a lie, I absolutely call it for what it is and then still model that their better self will prevail. I want them to *think about themselves* in terms of growing accountability and self reliance. But knowing where they are at developmentally and applying this knowledge DOES NOT mean I’m trying to avoid limits or the upsets they create. For me I have experienced how connecting though empathy after lit setting is one of the keys to helping them mature. Thanks for this discussion and very thoughtful and thought provoking commentary.